Images accompanying this review are for illustration only, anc do not represent the quality of the presentation. It would be quite difficult to find someone who doesn't like Dolly Parton. She's inoffensive, yet sexually appealing, she's incredibly charming and utterly altruistic, folksy yet far from dull. And at one point n the ‘80s, she was a legitimate movie star, with a series of popular and well-remembered (if not always good) films, including the wonderful 9 to 5 and The Best Little Whorehouse in Texas. As the calendar turned to ‘90s, however, her silver-screen star duled a bit, as she focused more on playing herself. The one stab at recapturing her stardom (at least until 202's moderately enjoyable Joyful Noise) was Straight Talk, which, if you didn't know any better, could easily be filed away with those ‘80s films. 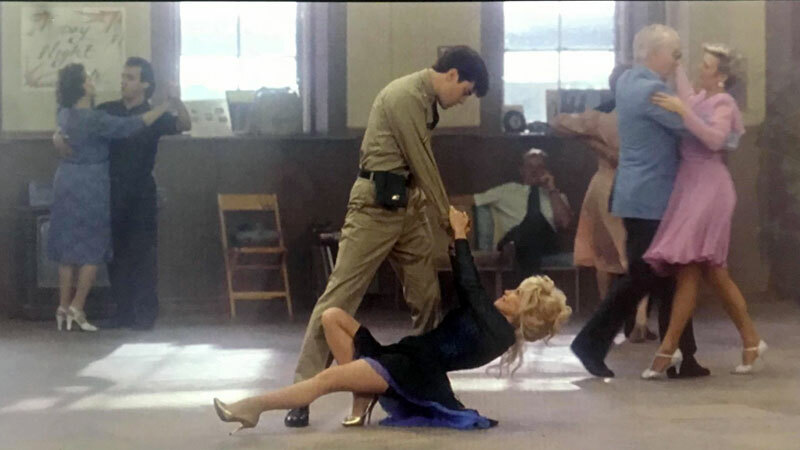 Parton plays Shirlee, a small-town dance teacher in Arkansas, who loses her job because she spends more time chatting with her students about their problems than teaching them how to boogie. At home, Shirlee isn't much more successful, as her live-in boyfriend Steve (Michael Madsen) is out of work and emotionally abusive to her. Pushed to the edge, she decides to take action, pack her stuff and move to Chicago to find a new life. After struggling to land a job and being mistaken for a suicidal bridge jumper by a reporter named Jake (James Woods), she finally finds a gig as a receptionist with a local radio station, but--through the kind of coincidences that only occur in films--she winds up on the air, sharing her homespun wisdom with listeners, only to get the boot from her new role and her new job by the station's neurotic manager (Griffin Dunne). However when the ratings--and cals--come in, it becomes clear that Shirlee is a star in the making, and she's set on a fish-out-of-water path to success, as long as no one finds out she's not actually the psychiatrist the station is billing her as. As directed by TV veteran Barnet Kellman--a move that seems common at the time--the film isn't pushing any cinematic boundaries, keeping things very simple (with lots of montages, naturally set to Parton's music) while the story unfolds in predictable fashion, as Jake gets close to Shirlee's true story, but also gets close to her, complicating matters. 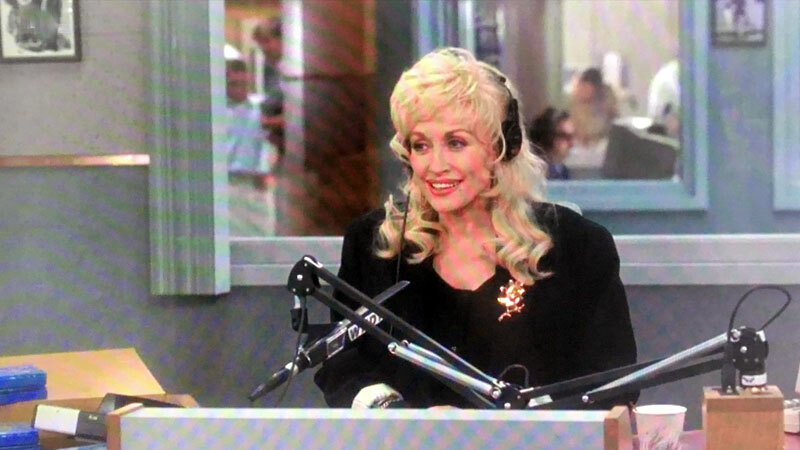 It's really not all that important, as the key to the film is Parton herself. A human charm bomb, there's little she does in this film that doesn't hit the mark, and you definitely are rooting for her, so the film doesn't have to try very hard to sell her character. 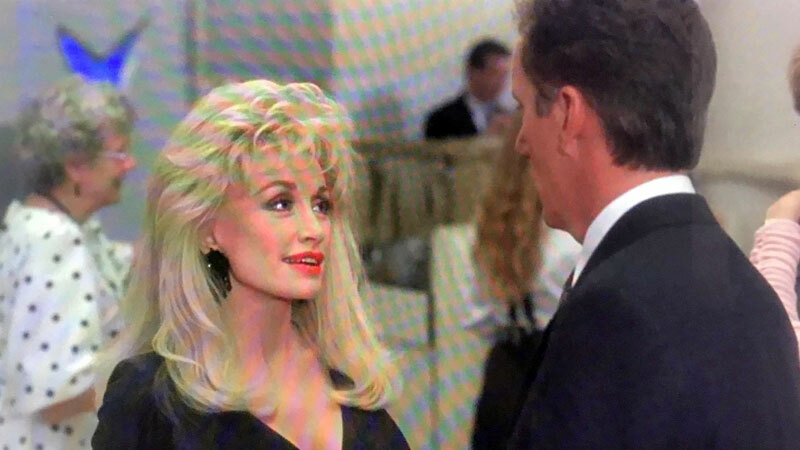 Woods and Dunne are just what's needed in their roles, but when up against Parton in a scene, they may as well be stuffed suits. Having an audience-pleasing weapon as powerful as Parton may have allowed the filmmakers to take their foot off the pedal though, as the third act seems rather rushed, and the finale is frankly dull. Dolly can do a lot with a little, but even she has her limits, and as the credits roll, you may find yourself thinking "That's it?" If so, you could entertain yourself with the film's time-capsule quality. Besides seeing CHicago in a very different era--one in which radio was a big deal--watching Straight Talk nearly 30 years past its original release allows you to spot the host of now well-known names who appear in his movie, including small cameos by Jeff Garlin, Ron Livingston, Paul Demello and an in-voice-only Jane Lynch, along with parts for filmmaker John Sayles and the late, great Jay Thomas and Spalding Gray. Kino Lorber brings home another Hollywood Pictures film, releasing Straight Talk on one Blu-ray disc, which is packed in a standard keepcase. The cover features the more fantastical version of the film's poster art (differentiating it from the 2011 Mill Creek release), while the disc's static menu has a cropped image from the more comedic poster. Options include watching the film, select scenes and check out the extras. There are no audio options, nor are there subtitles. As Kino makes no mention of a new master, one assumes that this 1.85:1, 1080p, AVC-encoded transfer was struck from the same master as the previous Blu-ray release of Straight Talk. That's not a major concern, as the image is good, but certainly not among Kino's best releases, as the relatively high level of fine detail (most noticeable in the shots of Chicago throughout the film) is balanced out by some minor dullness in the color saturation and some occasionally obvious noise reduction (though overall there's the a good layer of consistent grain, making it an appealing image. There are a number of night scenes, including the majority of the finale, and there can be some issues noted in the darkness, but the film doesn't suffer from a great deal of dirt or damage, with color being the main tell that you're watching an older film. The audio is delivers via a DTS-HD Master Audio 2.0 track, which is honestly all the film really needs for a proper presentation, even with the number of Parton tunes on the soundtrack. The songs all sound fine, with appropriate heft for her voice and the twang of a guitar, while the film is otherwise manly a dialogue-heavy affair, and nothing is problematic on that front. A few scenes mix in some atmospherics to set the scene, like a noisy press room or a Chicago street, but overall it's not a very complicated sound mix, and the disc handles it well. 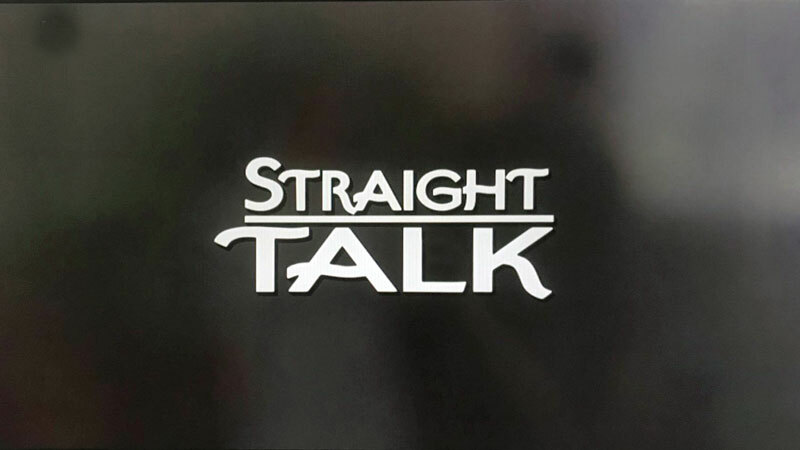 Kino continues to be great at catalog releases, providing an audio commentary for Straight Talk by Kellman, who is joined by Filmwax Radio's Adam Schartoff. Enthusiastically reminiscing about the making of the film and working with Parton, Kellman offers up a load of production details from the shoot info on the editing process (and a large sequence that was cut--and unfortunately not available here--and talk about the casting, visual themes, the use of montages and, of course, Parton's trademark bosom. The result is an informative and enjoyable track. Trailers are available for Too Much (a ridiculous movie about twins starring Antonio Banderas), Blaze and Big Business. Not one for Straight Talk though, for some reason. Watching Straight Talk without doing much research (and armed with a vague recollection of its radio psychiatrist plot), it was honestly surprising that this film hails from 1992, and not a decade early, as it feels like your standard ‘80s comedy, full of silly bits built on Parton's well-known persona and a general sense of lightness, unencumbered by societal issues. As a result, it is a breezy watch full of recognizable faces, but it won't stick with you for very long. Kino has done their best, adding a solid commentary to warmed-over master materials, which makes the disc an entertaining experience, especially for Parton fans.